"The Rankin/Bass Christmas specials have gotten a lot of merchandise over the last decade, but there have been almost zero collectibles made for Mad Monster Party," said Chuck Terceira, director of Diamond Select Toys. "Now that the movie has been released on DVD and seen by a whole new audience for the first time, it feels like the right time to give fans new and old the toys they deserve. The film combines all of the classic monster archetypes with the timeless appeal of Rankin/Bass animation, and we want our toy line to represent the figures you see on the screen as closely as possible." Mad Monster Party hit theaters in the spring of 1967, and featured the vocal talents of legendary horror actor Boris Karloff and comedienne Phyllis Diller, as well as parodies of many of the famous monsters, including Dracula, Frankenstein, the Wolfman, the Mummy, the Hunchback, the Invisible Man, the Creature from the Black Lagoon, the Bride of Frankenstein, and Dr. Jekyll and Mr. Hyde. First released on DVD in 2003 and receiving a special edition in 2009, the film has only added to its already sizable group of dedicated fans. All DST toys and merchandise are available by visiting your local comic book specialty shop - go to www.comicshoplocator.com to locate a shop near you. ABOUT DIAMOND SELECT TOYS AND COLLECTIBLES, LLC: Diamond Select Toys and Collectibles, LLC was founded in 1999 by sister company Diamond Comic Distributors, Inc. Envisioned to create unique and exciting collectibles for children and adults alike, the company has licensed a variety of pop culture properties to be turned into merchandise. In 2007, Diamond Select Toys made a move to acquire select assets of the New York based Art Asylum, creators of the global Minimates brand. Minimates have been recognized as the #1 selling block figure in the world and were the first toys ever to be inducted into the Toyfare Hall of Fame in 2007. With partners such as Marvel Enterprises, Microsoft, Universal Studios, Twentieth Century Fox, Hasbro, MGM and Sony Pictures, Diamond Select Toys and Collectibles produces a large range of products based on a wide variety of properties, and is headquartered in Timonium, MD. For more information, visit www.diamondselecttoys.com and www.artasylum.com. 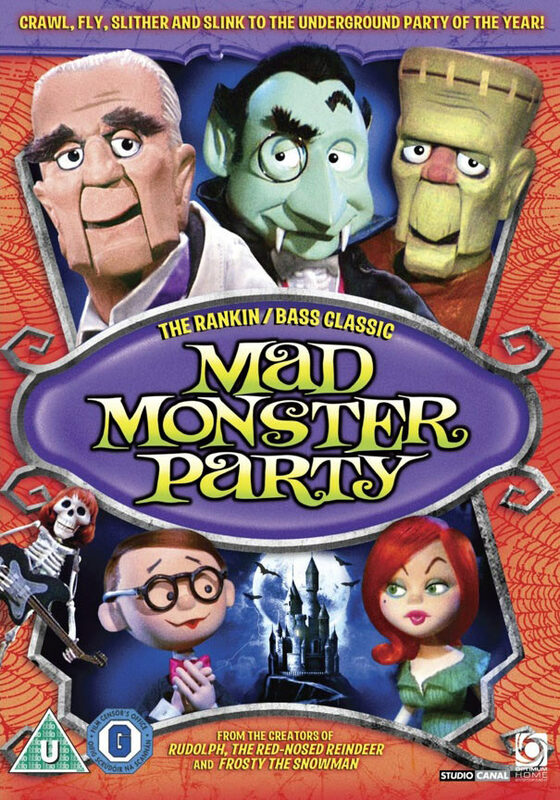 MAD MONSTER PARTY is a trademark of StudioCanal S.A. All Rights Reserved. © 2012 StudioCanal S.A. ® All Rights Reserved. ©2012 Diamond Select Toys and Collectibles, LLC. All rights reserved. Diamond Select Toys, and the DST logo, are either registered trademarks or trademarks of Diamond Comic Distributors in the United States and/or other countries. All other trademarks are the property of their respective copyright owners.